Emmy and Charlene are twenty-one year old twins. They are connected by sharing the same genes, the same hairbrush, even the same bed, but they couldn’t be more different in personality or ambition. Emmy is delicate and feminine whilst Charlene is more of a goth. With Charlene being the older twin by little more than a minute or two she is the protector, having always fixed her sister’s problems, but now Emmy is dying of cancer and it’s the one thing Charlene can’t ever fix. 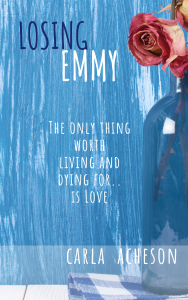 “Losing Emmy” is a story that is touching and bittersweet. It highlights life’s joyful and crushing moments, plus those that will forever remain unwritten between the margins of abandoned diary pages. The girls show us that life and death are also ‘twins’. That death can never eradicate love, and finally, what lives deep inside us always finds its way back home. Emmy’s life now hangs precariously on a string which continues to fray little by little each day and we both know that when your time is up, it’s up. That word death leaves most people quivering in fear, but for Emmy and I, it’s been a long awaited visitor who hasn’t quite decided exactly when he’ll walk in the door. Actually, some days we thought he was closer than others. It was that particular faceless beast that taught us that life is something you cling to breath per painful breath, especially when it is crawling towards you a hell of a lot faster than you anticipated. Just eight weeks ago Emmy and I were seated together in a stuffy windowless office when the cold, harsh, reality was delivered to us by Dr Sentoya, her radiologist. He is a broad-shouldered man with an impressive crown of white hair which somehow hilariously contrasts the thick dark hair on his arms. The man also dribbles a little when he speaks. He presented himself as some almighty God that morning, as if he was about to deliver a verdict on Judgement Day. Emmy and I waited with our hands tightly clasped together. I couldn’t look at her face so instead I focused my gaze on a half eaten bagel that was sitting on his desk. My eyes also searched for the obligatory framed photo of a beaming wife clasping a couple of kids; but there was none. A thought crossed my mind… maybe this guy would never know the pain of losing a child. He tapped his pen three times on a sheet of paper, then flung words across the desk that hit us both like bricks. Her hand instantly tightened its grip on mine but there was no change in her expression. We had both known that the last batch of treatment really was her last hope. We had literally clung on to it like a child might cling to a brick wall with short stubby fingers, in the hope of reaching the ball when it is just within his grasp. Emmy’s ball fell on the wrong side of the wall that day. I drove home straight after that meeting, shaken and stunned. The sky was glorious and the rich green fields looked beautiful on either side of us, yet Emmy couldn’t even look up from her lap. I wasn’t sure whether she was just trying her hardest to block out the pain, or if she had been rendered speechless and devoid of any feeling at all. Her catatonic state made me want to lean over and shake her shoulders so hard; just so she would scream, or cry, or something. Just finally let it all out. Emmy’s suffering would soon be over and that’s when mine would begin. I still don’t know what’s coming next or how I’m going to live without her because there is no study or guide book I can buy to teach me that. 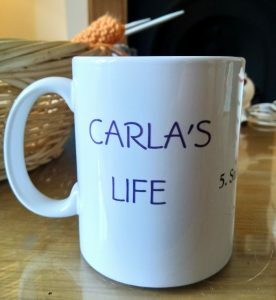 When I think about life without my sister, my mind can’t seem to connect the images which it has so painstakingly tried to re-arrange and prepare. Nothing I envisage feels right or possible, or real. My life feels like a dot-to- dot puzzle without the numbers that tell me which direction I need to go in. On that long drive home I had stared at the windscreen in silence, totally cut to pieces by the fact that I truly didn’t know how I was going to get through this. An excerpt of “Losing Emmy.” Coming this Christmas to Amazon. Publisher: Charlotte Green Publishing, United kingdom. ©Carla acheson. 2018. All Rights Reserved. It’s time for some exciting news at last. 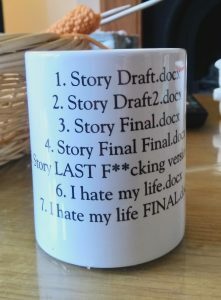 You’ll never have guessed that I’m diving into a new genre in my next book. Is this brave? Perhaps. But I believe that a story, (any story really) speaks for itself when it is written both with an author’s passion and imagination combined. I confess… I love a challenge, and the chance to offer stories that make readers think deeply. My readers have noticed a common theme in my story-telling, a bittersweet realism in how my characters struggle to survive, not only with the world around them but with their own deepest desires and choices. You might be surprised to learn that I’ve always had an interest in the occult, and this is one angle of my new book. So how do I lead you into this story? Let’s start with a brief on the main characters. Emmy and Charlene are twins who were raised by Lalia, an adoptive parent of Spanish descent. As a small child, Lalia lost her own mother in a tragic accident, so she has already experienced a grave loss. Subsequently her monstrous stepfather abused her for years until he was jailed and she managed to escape to England. Here begins Emmy and Charlene’s story. Twins abandoned at birth they were raised by the loving, yet naturally over-protective, Lalia. And life is good… until Emmy begins to get sick in her teens and cancer becomes a slow, life-sucking force that tests the courage and strength of all of these characters. After years of harrowing chemo treatments Emmy is finally told that she has just a few short months left to live. The girls are now on the cusp of womanhood. They decide to spend the last few months of Emmy’s life at a secluded coastal village called Sennen Cove. Here they meet Michael, an isolated guy who possesses some mental health issues and demons from his past (literally.) Charlene finds herself drawn to him and intrigued by his unusual and rare disorder, Spectraphobia. The girls wish to spend Emmy’s last days in peace and solititude… but this is far from what happens. As they struggle to cope with Emmy’s worsening condition, plus the inevitable, Michael’s supernatural-related difficulties force Charlene to question her close spiritual connection with Emmy. She feels the pressure of time ‘running out’ and struggles to comprehend why her beloved twin is becoming so distant and pulling away from her. Will their unique connection die when Emmy is gone? Lalia, must also confront a great demon in her past; Estefan and his legacy of cruelty. As well as the pain of losing one of her precious twins, could she ever be strong enough to move on and trustingly allow a man into her life? At the climax of this sensitively written story, my aim is to highlight that we are all connected, no matter what each of us endure, or the many different demons we might carry inside us. Each of us carries a different battle, it can live inside us, unseen, but the negative effects are often extended to those whom we love the most. Yes, I take joy in portraying sensitive and emotional topics. In researching this story I learned about a strange mental health condition that I didn’t know existed, but it does, albeit a rare one. It is the struggles in life that I fully understand because they create better humans out of us. In fact the bigger the struggle, the better kind of humans we ultimately become. These are, of course, the main ingredients to life. As an author I pursue them head on and challenge my characters to endure them, then to finally breathe out and reach a life-turning point of understanding and acceptance. 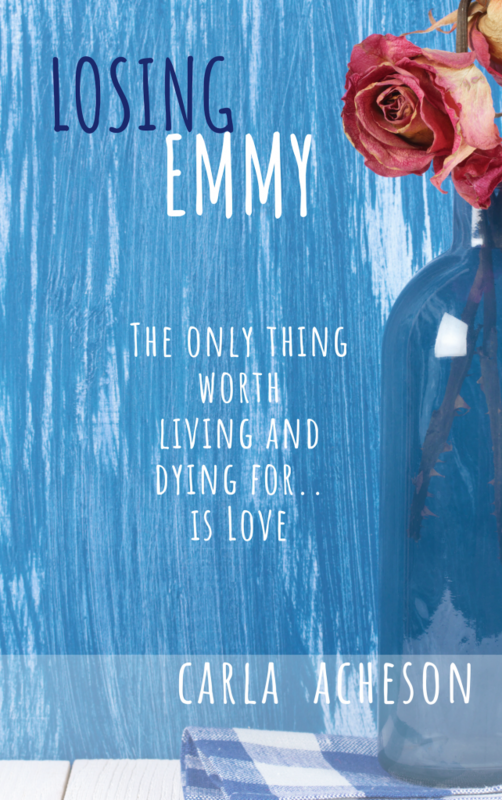 “Losing Emmy” will be available on Kindle this Christmas. If you’d like to receive emailed updates on this book, and/or any other news relating to my books you can Subscribe here. I don’t spam and am grateful to you, and each and every one of my readers for their support and interest. Lastly, a big thanks to John Morris, my publisher, who walks every step of my journey through each page of my books and really ‘gets’ what I do and why.